Fans can go to http://hubworld.com/YouRule to view select clips, preview artwork, and cast their votes. Viewers can vote as often as they like. The voting results in all categories will be revealed on-air during the "You Rule Thursdays," programming block from 9pm-midnight ET, so you'll have to tune in! 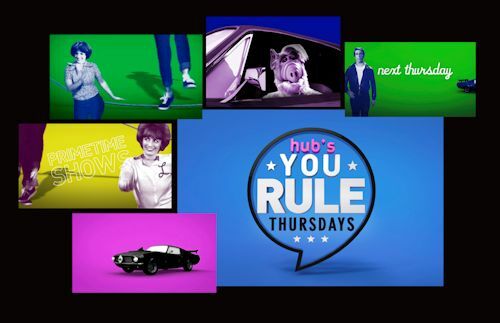 Before "You Rule Thursdays" begins, the block will feature "Favorite Sitcom Episodes Featuring Oscar® Winning Guest Stars" chosen by The Hub! 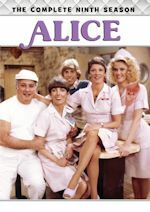 The Facts of Life kicks it off with two episodes with George Clooney from 9-10pm ("Into the Frying Pan" and "The Reunion"). Then at 10pm, Tom Hanks guest stars on the two-part Family Ties episode "The Fugitive." At 11pm, we have another episode of The Facts of Life, this time with guest star Helen Hunt on the classic first season episode "Dope." And finally at 11:30pm, Anjelica Huston guest stars on the Laverne & Shirley episode "An Affair to Forget." The block will be preceded by an hour of ALF every Thursday from 8-9pm (encores 2-3am). "Ha!" Stay with us for continued updates and let's hope The Hub has some tricks up their sleeves for the selection of shows we can choose from. 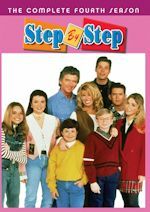 You could probably expect all of the sitcoms that they air like the ones mentioned above and others like Sabrina the Teenage Witch, Doogie Howser M.D. and maybe even The Wonder Years again? You'll have to stay tuned! It's make your own classic TV on The Hub! 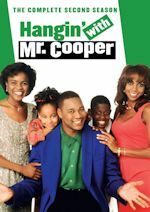 For the week of February 25-March 1, 2013, we have many current sitcom stars and past sitcom stars on TV talk shows! All times listed are Eastern. So get your DVR's (or whatever you use) ready! Ready? Here is all what you need to know for the coming week! Alec Baldwin (30 Rock) - Watch Alec on The Late Show with David Letterman at 11:35pm on CBS. Zooey Deschanel (New Girl) - Zooey appears on Conan at 11pm on TBS. Felicity Huffman (Sports Night) - Felicity is a guest on The Ellen DeGeneres Show, so check listings. Wendi McLendon-Covey (Reno 911!/Rules of Engagement) - Wendi visits Watch What Happens: Live at 11pm on Bravo. Brooke Shields (Suddenly Susan) - Brooke guest co-hosts The View on Monday and Tuesday on ABC at 11am ET/10am CT-PT. Kevin Nealon (Weeds/Hiller and Diller/Champs) - Catch Kevin on Conan at 11pm on TBS. Wendi McLendon-Covey (Reno 911!/Rules of Engagement) - Wendi is a guest on The Wendy Williams Show at 12am on BET or on your local stations. Jesse Tyler Ferguson (Modern Family/The Class) - Jesse chats with the ladies of The View on ABC at 11am ET/10am CT-PT. Tina Fey (30 Rock) - Watch Tina on The Late Show with David Letterman at 11:35pm on CBS. Jesse Tyler Ferguson (Modern Family/The Class) - Jesse appears on The Late Show with David Letterman at 11:35pm on CBS. David Duchovny (Californication) - David is a guest on The Tonight Show with Jay Leno at 11:35pm on NBC. J.B. Smoove (Curb Your Enthusiasm/'Til Death) - J.B. visits The Tonight Show with Jay Leno at 11:35pm on NBC. Tom Lennon (Reno 911!) - Tom stops by The Late Late Show with Craig Ferguson at 12:37am on CBS. Johnny Galecki (The Big Bang Theory/Roseanne) - Johnny appears on Conan at 11pm on TBS. Charlie Sheen (Anger Management/Two and a Half Men) - Catch Charlie on a repeat of The Late Show with David Letterman at 11:35pm on CBS. Steve Carell (The Office) - Steve drops by The Tonight Show with Jay Leno at 11:35pm on NBC. Jim Parsons (The Big Bang Theory) - Jim appears on Jimmy Kimmel Live! at 11:35pm on ABC. David Duchovny (Californication) - David continues to make the rounds on The Late Late Show with Craig Ferguson at 12:37am on CBS. Zach Braff (Scrubs) - Zach visits The Ellen DeGeneres Show, so check listings. Jerry Seinfeld (Seinfeld) - Watch Jerry on a repeat of The Late Show with David Letterman at 11:35pm on CBS. David Duchovny (Californication) - David wraps up his appearances this week on The Ellen DeGeneres Show, so check listings. Regina King (227) - Co-host Clinton Kelly teams with Regina to create cowboy rice and fried eggs on The Chew on ABC at 1pm ET/12pm PT/CT. 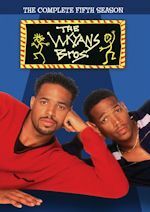 Terry Crews (Are We There Yet?/Everybody Hates Chris) - Terry guest co-hosts "Guy Day Friday" on The View on ABC at 11am ET/10am CT-PT.